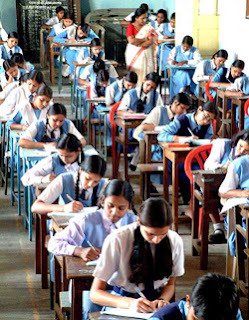 India’s Education System – What to make out of it? There is a group of journalist who blast India’s education system as horrendous while another group hails it as the next best thing for other educators to learn from! Business executives say schools are hampered by overbearing bureaucracy and a focus on rote learning rather than critical thinking and comprehension. Government keeps tuition low, which makes schools accessible to more students, but also keeps teacher salaries and budgets low. What’s more, say educators and business leaders, the curriculum in most places is outdated and disconnected from the real world. Despite an improved economy, many Japanese are feeling a sense of insecurity about the nation’s schools, which once turned out students who consistently ranked at the top of international tests. That is no longer true, which is why many people here are looking for lessons from India, the country the Japanese see as the world’s ascendant education superpower. What the heck is an average reader to make out of this? I am not any expert in India’s education, but for my personal interest in the subject and the credential as a product of India’s education system having spent about one half of my life in the classrooms of an average sub-urban public school and corridors of a private engineering college. My take is India’s education system produces exactly the kind of graduates it is designed to “mass produce”. Since our schools (factories) and classes (production lines) are dealing with minds (of teachers and students) instead of machines, what results is simply a spectrum of output quality – many good ones, some bad ones and rest fall somewhere in between. Given the factory model with prescribed academic syllabus, I do not think any school or any teacher can mint 100% great pupils year after year – even with 100% great teachers. By the way, did the WSJ article’s author and the HR executives referenced in it all jump straight from heaven? I mean seriously? They all must have went through the same damned Indian educational system and now that they are at the top of the food chain, they are looking down and blaming it? Don’t mistake my angst for denial. Heck, even the much-adorned American education system is begging for change! So, indeed the Indian education needs wholesale, transformational changes! But that’s not an excuse to write-off the system altogether. Which is why I think both the articles above are somewhat ill-conceived and poorly positioned without context. Hand-wringing over education seems to be a national pastime…The other guy always seems to be smarter. The other country always has better ideas. Our kids will end up chumps in the global economy unless we do what those guys do, etc. The WSJ article reflects a narrow authorship and refers to the NASSCOM Assessment of Competence (NAC) employability tests that have been developed the BPO and the IT industry! While those two industries have been a boon for India, by no means they represent rest of India’s economy. Moreover, it is not as if only IITs and IIMs produce the stellar students. The growth engine of India is primarily fueled by the good load of students produced by the average schools and colleges in the last 20-30 years. A while ago Fortune magazine chronicled the training facility of Infosys in Mysore, India. ..after the job offer, comes the real test: eight hours a day at Mysore studying lines of Java code, attending team-building workshops, and learning to differentiate the do’s of global workplace etiquette from the don’ts. The sad truth is India’s colleges are not designed to impart employable skills. They exist to provide theoretical knowledge minting “raw” graduates with unparalleled uniformity. Like it or not, every employer has to mold, train and coach them to some extent to make them employable! A talented kid emerging out of India’s system of education is a by-product of that kid’s own commitment to learning, her parents commitment for positive support, the effect of indulgences from societal & peer pressures, and last, likely the least, the formal educational system she was part of. Enrollment at the primary / secondary levels must improve. Parents and family members must play an active engage in a kid’s off-school learning. Learning curricula must aim to produce well-rounded graduates retaining certain level of individual character and innate uniqueness. Education must balance art, creativity, music, sports, thinking skills, behavioral, inter-personal skills besides the science, math and language. Government must privatize the primary / secondary educational services. Not only will that meet the growing population’s demand but will also stabilize quality. Most importantly, career development programs must start at the middle schools. Career development programs should expose the students to wide-range of post-secondary educational opportunties. Society at large, including corporations and formal/informal industries must actively partner with schools and universities to set right expectations on what’s needed from students after graduation. It is all easier to list than getting it done. We have decades to go before we can convincingly enroll, educate, graduate and employ India’s younger generation. Until then, start thinking about how we must shift the paradigm and redefine education as we always knew it. This entry was posted on Friday, April 15th, 2011 at and is filed under Education. You can follow any responses to this entry through the RSS 2.0 feed. You can leave a response, or trackback from your own site.